← PJSTA Flashback: 38 years ago! 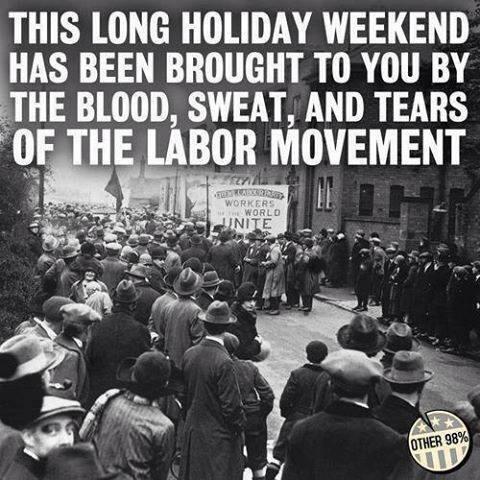 Labor Day, a creation of the labor movement, is a special time for union members to reflect on what their unions have done for them. The enhancements to their life that their unions have provided. Last year I wrote a letter to the PJSTA membership thanking various people for what they have done for my union. I am more grateful than ever for those people today, so I am re-posting that letter below. In addition I am adding a few more names below the re-post of last year’s letter. Thank you Beth Dimino, PJSTA President, for tirelessly working on our behalf for more than four five years now. For working to preserve and enhance a strong contract, and for largely keeping us whole through turbulent times. Thank you Christine Pendergast, Fran DiPiazza, and Jim Roth. The three presidents who have represented me throughout my career and have shown me what strong union leadership can do. Thank you to all of the presidents who came before them, including Bob Carr (thanks Jack Zamek!) and Bill Hippner, who I have had the pleasure of knowing through his role in rep council. These are the people who built a strong contract one battle at a time over the years. Thank you to the many men and women who have served on our executive boards and rep councils through the years, who have given tremendous amounts of time to form the governing body of the PJSTA. Thank you to Rich Davis, my union buddy during my first year of teaching, and my first senior building rep. He was the first person who made union work appealing to me. Thank you to Donna Gardner and Gail Ports who have done an incredible job representing me as my senior building rep in the years since Rich Davis. Thank you to the PJSTA members who voted to authorize strikes in the 1970’s, showing the willingness to make a tremendous sacrifice, if necessary, for the greater good of our local. Finally, thank you to the rank and file membership of the PJSTA, throughout our history. We have had great leaders, but our strength is in numbers. It is a whole lot easier for our leadership to take a stand and guide us through difficult times when they know they have 300 PJSTA members at their back. Through the past several years the PJSTA has taken a leadership role in our region, fighting against the privatization of public education. We have had a substantial presence at rallies and events throughout the state. Our members have taken whatever action necessary when called upon. We have an aggressive and ambitious campaign planned for this year. Our membership will be called upon to take sustained action throughout the year. I know we will rise to the occasion and let our collective voice be heard. Happy Labor Day… and welcome back to school! Thank you to our brothers and sisters in the MORE Caucus, the social justice caucus of the UFT, who I have had the great pleasure of working with this past year on a number of issues. Those people included, but are not limited to Mike Schirtzer, James Eterno, Lauren Cohen, Megan Moskop, Norm Scott, and Peter Lamphere. Thank you to Arthur Goldstein, UFT member who blogs at NYC Educator. Arthur ran for NYSUT’s Executive Vice-President this year and impressed virtualy everyone he came across. Additionally he shows up at virtually every rally and event that we hold out on Long Island. Thank you to the CORE teachers from the Chicago Teachers Union and their leaders including, but not limited to, Michelle Gunderson, Debby Pope, and Sarah Chambers, among many others. They have carved a path for so many other teachers unions to follow in this country. The CORE teachers from Chicago also proved wonderful hosts when Beth Dimino and I visited this summer. Thank you to all of the people who put work into the Stronger Together Caucus this year. Our statewide union will ultimately thrive because we have so many people who will not give up the fight for a more democratic union that allows a voice for all of our membership. Thank you to the members who are new to the PJSTA this year. We are excited to have wonderful new union activists! This entry was posted in General and tagged labor day. Bookmark the permalink.